What is Equity? Why Share Prices move up & down? How to transfer PPF Account from Post Office to Nationalized Bank? Why should you buy Life Insurance and how much? Who will get your money if you die: Nominee or Legal Heirs? Should PPF Account be a part of your Retirement Corpus? How to make a proper will? How Hindu Succession Law Applies When a Person Dies Without Will? How Hindu Succession Law applies when a person of Hindu religion dies without valid will? Succession Planning is a very important aspect of overall financial planning. But it is being observed that Indians are very poor at this topic and they generally avoid planning for their inheritance. 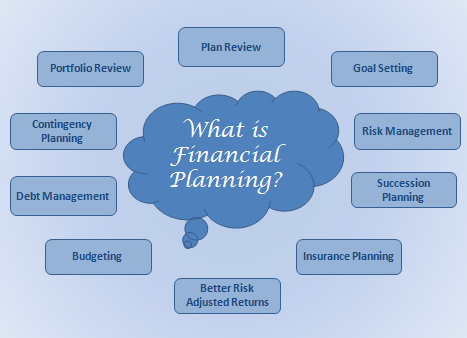 Being a financial planner I come across number of clients and when I discuss with them whether they have planned how their Wealth will be passed on, they are never clear and have lots of misunderstanding about this concept. This article is an effort to bring some clarity on what happens if one dies without a valid will? What happens if one dies without valid Will? In India, as per the provisions of Indian Succession Act, 1925 if one dies without writing a valid will, he is said to be died intestate and his property will be distributed as per the provisions of the succession law applicable to him. So if you want that your hard earned wealth should be distributed as per your wish it is important to write proper will. In India, Hindus, Sikhs and Jains are covered under Hindu Succession Act 1956 and Indian Succession Act, 1925. Muslims are governed by their Muslim Law. Christians, Parsis and Jews are governed by Indian Succession Act, 1925. Let us see how wealth will be distributed if a person with Hindu religion dies without a valid will. In case of a Hindu male if he dies without a valid will his wealth will be distributed as per the provisions of Hindu Succession Law first to class 1 relatives equally and if there are no class 1 relatives then to class 2 relatives. Following is the list of class 1 and class 2 relatives. But if class 1 and class 2 relatives are missing? In the absence of heirs of Class 1 and Class 2, the property is passed to the agnates and cognates of the deceased in succession. Between agnates and cognates, agnates are preferred over cognates. Agnates : Agnate means a person related to wholly through males either by blood or by adoption. The agnatic relation may be a male or a female. One’s father’s brother, or father’s brother’s son or father’s son’s son or father’s son’s daughter are agnates. So the final relationship may be male or female but it must be through males. The relationship can also be in ascending or descending line. Cognates : Cognates means a person related not wholly through males. Where a person is related to the deceased through one or more females, he or she is called a cognate. Thus son’s daughter’s son or daughter, sister’s son or daughter, mother’s brother’s son, etc. are cognates. Here also the final relationship may be male or female but there is at least one female in that line of relationship. Note that if there are more than one Widow’s , then they get one share only and then divide it between themselves and a person immediate family will also be considered as one unit only. Firstly, upon the son and daughters and the husband. Secondly, upon the heirs of the husband. Thirdly, upon the mother and father. Fourthly, upon heirs of the father. Lastly upon heirs of the mother. Property acquired from Husband If the women has acquired any property from her Husband, in that case the first right will be of the heirs of her husband, in case of absence of his sons or daughters. Property acquired from Father or Mother If the women has acquired any property from his Father or Mother, in that case the first right will be of the heirs of her father and not husband, in case of absence of his sons or daughters. So it is clearly evident that we as financial planners should encourage our clients to write a proper “WILL” because in absence of the valid will his/her hard earned wealth will be distributed as per the provisions of law. Further when there is no clear will, it can lead to a situation where there can be disputes between family and it can take few years to resolve so it is very much advisable to ensure our clients have a proper will in place. Financial Life stages in the life of a Doctor. Writing an article on financial planning for doctors is my favorite topic because 70% of my clients are doctors. During my practice I have worked with doctors from many different branches and with different age groups, like few of them are very young say between 32 to 35 years old and have just started their practice, few of them are at the middle of their career and at the age of around 42 to 50 and some are senior and close to their retirement. So from my experience I have understood one thing about doctors that their financial life is different than other professionals like lawyers, architect or entrepreneurs in many aspects like their career start very late, at the earlier stage of their career they are loaded with loans, strong cash flow starts only after 38 to 40 years, they cannot delegate their core work to others and are always running short of time. On the basis of my experience I would divide a doctors life into four stages as per the below graph. Gold is a favorite asset class for Indians. Generally in India gold is inherited from one generation to another and every time quantity keeps on increasing. In my practice, I regularly face the question from my clients and readers of my blog that whether we should invest in gold or not? Many investors also believe that gold has given better returns than equity in past. So this article is an effort to bring some clarity on whether gold is a good asset class for investment or not. © Ascent Financial Solutions Pvt. Ltd. 2011. All Rights Reserved.